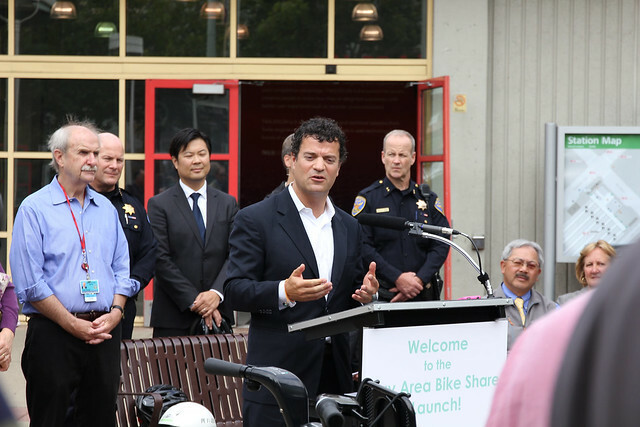 Finally today is the day the bicycle community feels some legitimacy! I feel so proud that a bicycle is incorporated into the public transit system. 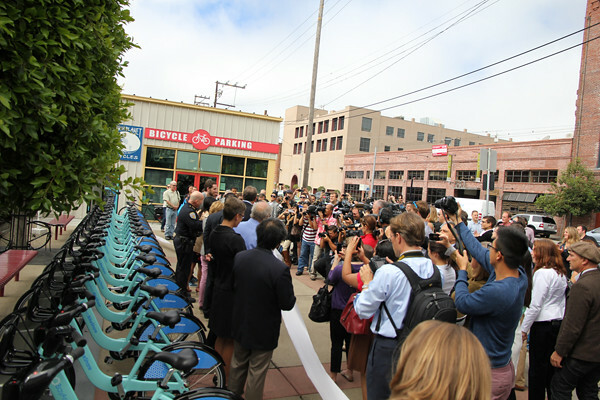 The Bay Area Bike-Share ceremony started at 10:30 am today at 4th and King St. Caltrain station. 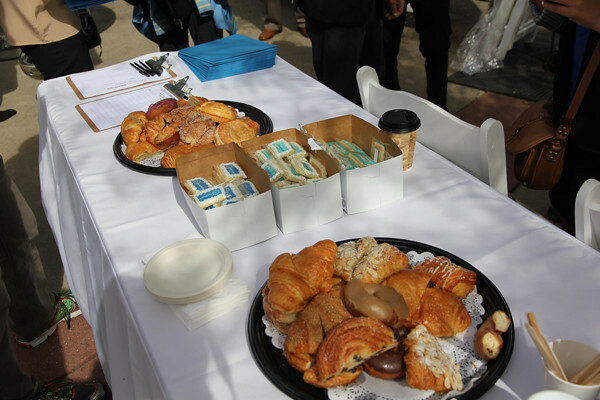 Here are some photos from today’s ceremony. 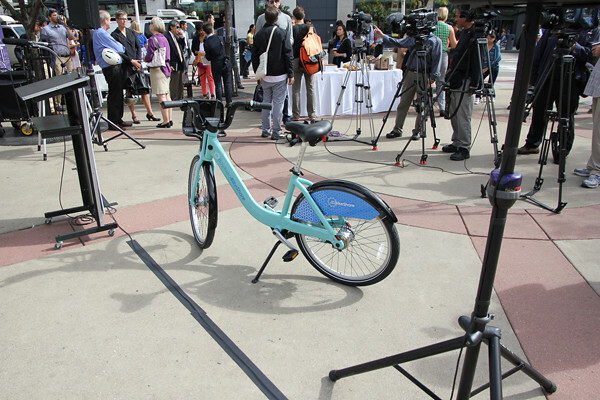 It wasn’t until noon that the bike shares could be used by the public. She was the celebrity of the day. Our celeste green Bay Area Bike Share. She got so much attention, deservingly. 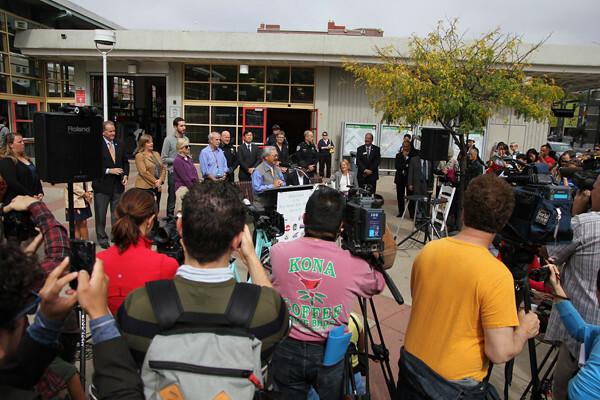 Mayor Ed Lee of San Francisco was there to speak at the ceremony with Jane Kim, Scott Wiener and John Avalos (3 of our Supervisors) in attendance. 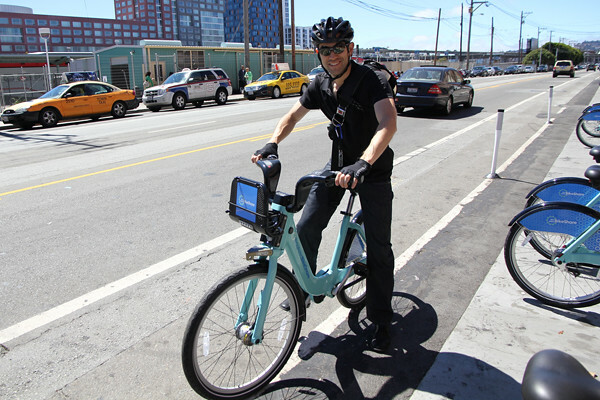 Jared Blumenfeld, a bike commuter and an EPA official (appointed by President Obama) spoke convincingly of why bicycle is good for transportation, good for business, good for livability, etc. 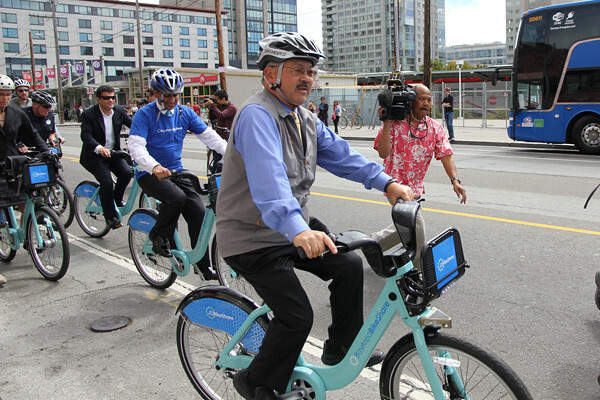 Mayor Ed Lee leading the bike share caravan back to City Hall. 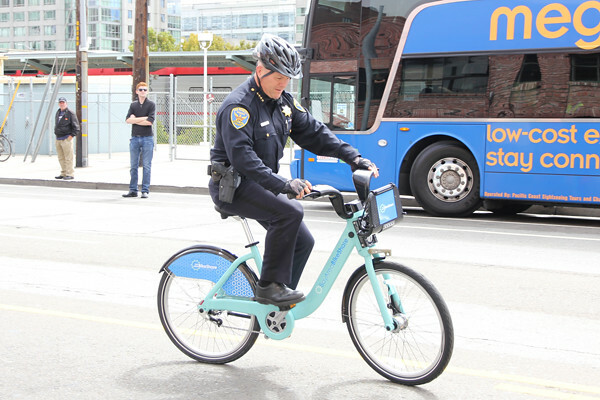 Our police chief, Greg Suhr on a bike? Maybe now he can understand how it feels to be a bicyclist. I would love to see more cops on bikes. 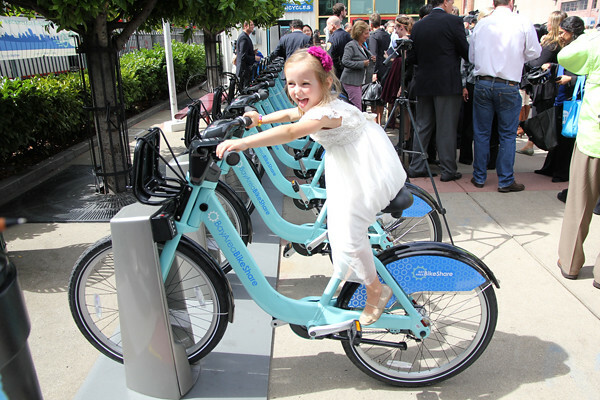 Right at noon time is this first happy customer at the Townsend and 4th St. station. 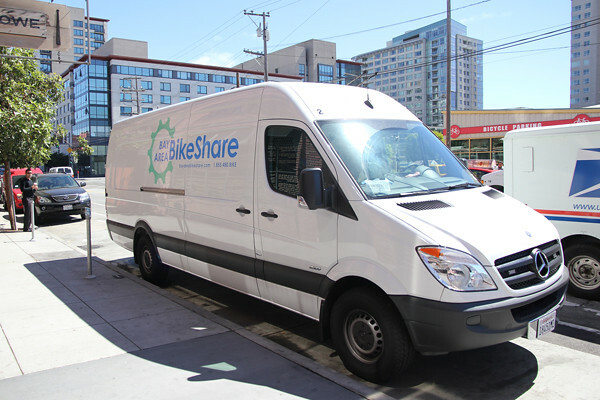 By riding around town today, I can already tell bike shares are going to be very popular. 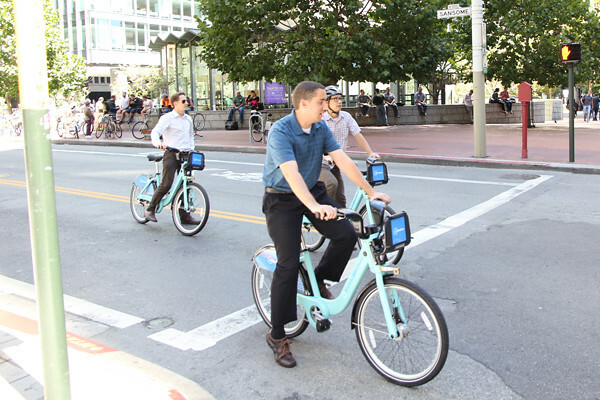 25% jump in the bicycling rate on Market Street!